I’ve never thought of myself as old. But two things happened the other day that forced me to do a double take. The first incident wasn’t all that subtle. I was washing my hands in the bathroom, and suddenly noticed a grey hair when I looked in the mirror. Then a second. And then a third! Goodness, haven’t golf bags come a long way since? And haven’t I aged! Anyway, you’re not on this page to read about my sad reminiscing. You’re here to find one of (actually only) the best lightweight golf carry bags for you. After all, this is a significant investment which will last you for quite some time, so you want it to be a source of comfort which you’re proud to show off to your mates – not a weight on your shoulders. Luckily, I’ve had the privilege of sampling five of the best new carry bags on the market at the moment. As you can imagine, each of them get certain things absolutely right, but there’s always scope for improvement in the pursuit of perfection too. It’s just a case of finding what’s best for you, so hopefully the best lightweight golf carry bags analysis below will help your cause. Here are our picks for the best lightweight golf carry bags! 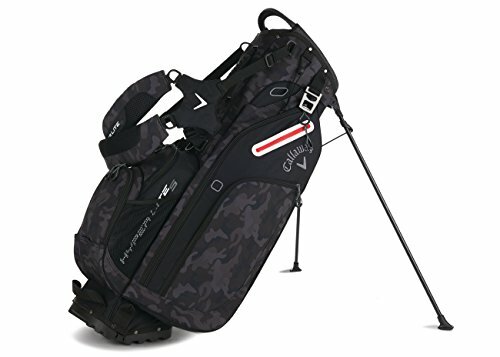 As the godfather of the prototype pop-out stand bag in the 1990s, these guys know what they’re doing, and the Hoofer looks to have taken things up a notch once again. It fitted on my shoulders like a glove, and, perhaps by luck, sat perfectly without me having to make use of the fully adjustable straps. But where this bag really cuts the mustard is its features. It has a 14-way divider, a cart strap and an impressive 12 pockets – all of which are very cunningly located and offer plenty of storage space. 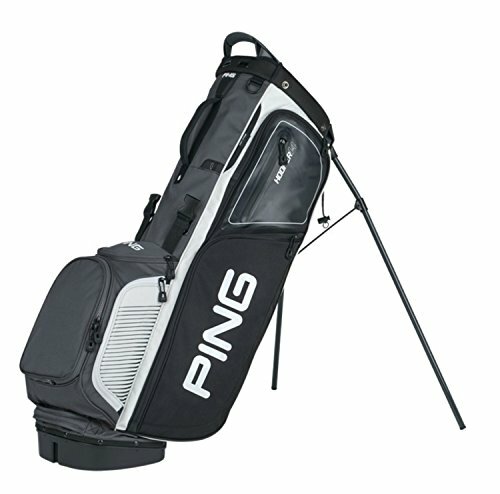 Another hallmark of Ping is that the bag stands just as steadily when it’s upright as it does when the stand is extended. Okay, I’m just going to say it straight off the bat. As out-and-out carry bags go, this one wasn’t my favorite. True, it covers most bases with a 14-way divider, 10 pockets (8 of which are zipped) and an oval top of just under 10 inches. 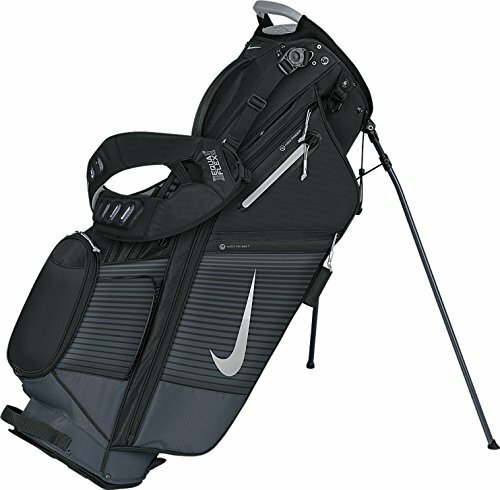 The stand is much improved from previous Nike golf bags too, and it’s fairly well balanced when standing up. But, quite simply, it weighs 7 pounds, and I’m not sure it offers enough to compensate for this. The Hyperlite family has had a bit of a dubious numbering system, so when the Hyperlite 4.5 came out two years ago, we expected the 5 to arrive sooner than it did. Instead, they puzzlingly reverted to a new version of the 4. Weird, huh? Anyway, we got there in the end, and the 5 looks to be a decent step up from its predecessors. At 5.2 pounds, it’s the heaviest in the bloodline, but still very light in the grand scheme of things. And it’s oh-so comfortable too! It also has 5 dividers, with a 2-2-1 split, including one full length. When you think of Titleist, you think solid. And that’s exactly what this bag is. In typical Titleist fashion, this ticks all the boxes, and although it doesn’t necessarily have the bells and whistles of some of its competitors, you know exactly what you’re getting if you choose to go down this well-travelled road. The virtues of the TaylorMade brand are well documented, but it’s fair to say that bags isn’t an area of the game where they are particularly dominant. The Purelite is an interesting little number though. Because of the very square top, it probably won’t be winning any beauty pageants in the near future. But it uses its 4.9 pounds pretty efficiently, and the more I noticed things like the custom embroidery ball pocket, nylon-webbing trunk handle, and, best of all, the anti-split stand system, the more it began to grow on me. In a 5-hour slog that is this game we all love, your bag needs to be so light and comfortable that you barely notice it. So what is the optimal weight? You should certainly use a benchmark figure of between 1.8 – 2.5kgs (4 – 5.5 lbs) as your guideline for the ideal weight, but there is no substitute for going in there and test driving one of these bad boys yourself. Fill it with clubs and balls too, like you would on a normal day. Still feel like you’re carrying a cloud on your back? Then you’re probably halfway there. Arguably the most important factor of all is build quality. 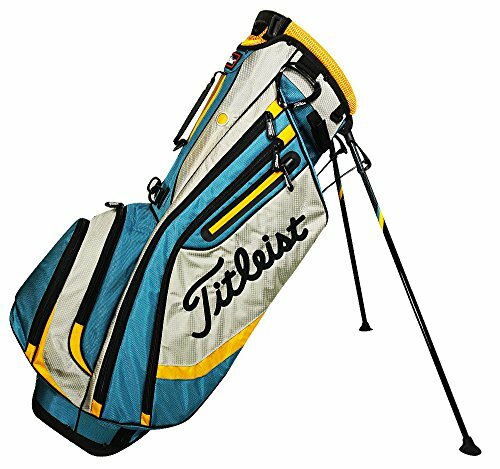 You can easily find a cheap knock-off carry bag for as little as $25 if you like. But chances are you’ll be back on the market for a bag again within six months. To get it right first time, make sure you ask the right questions regarding durability. What are the materials made of? How strong is the stand? Is it waterproof? How will it cope during transportation? Is it well ventilated? And can it combine sturdiness while maintaining a sleek design? Of course, versatility is also vital. You’ll want easily adjustable straps so that you can get it to sit nicely. And even though carry bags are minimalist by nature, every golfer is different, and with different habits and preferences. 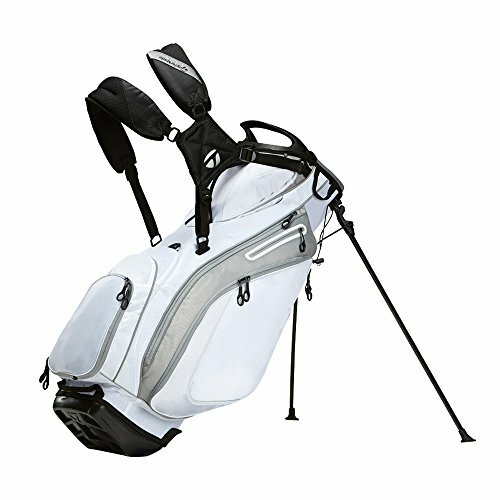 So any golf bag worth its salt needs to have enough pockets, dividers and other features which cater for your needs. This can be a tricky one to gauge with carry golf bags, as different people place different value on various elements. As a result, finding a bargain price doesn’t necessarily equal value for money. At the same time, you don’t want to pay over the odds, so if you get the feeling that you’re paying a premium, make sure you’re buying the quality that your dollar deserves. But, as a vague rule of thumb, if you find a bag which ticks all the boxes we’ve highlighted above in spades for less than $180… well, give us a call, because we want to buy one too! 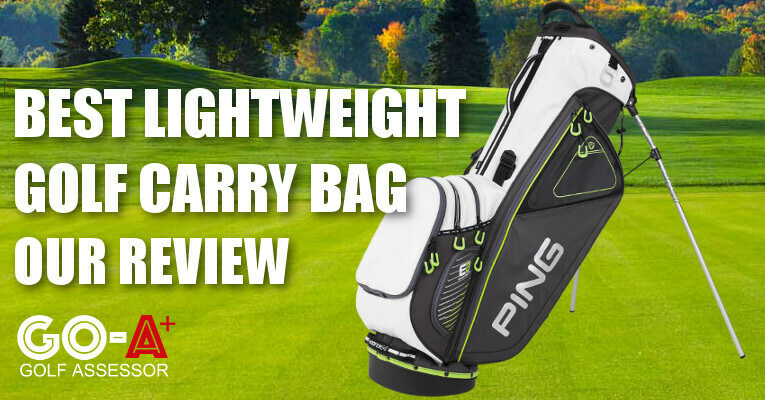 I hope my best lightweight golf carry bags review has helped you make an informed choice on the right lightweight bag for your game, but if your still have questions just leave a comment below and we will respond within 24 hours!